Beach on the Lake Maggiore. 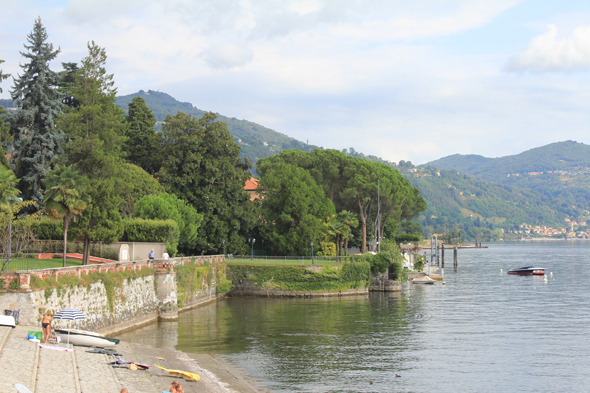 The Lake Maggiore, the longest of the Italian lakes, stretches on 65 kilometers long beyond the Swiss border. Its width does not exceed five kilometers.